FW. Two Letters. Fashion Week. Two Words. There is hardly any event comparable. Hardly anything that arouses as many associations as those two words. The list of fashion metropolises seems as never ending as the list of designers, models and upcoming labels that fight for the permission for showing their latest collection at the world known shows. Well ...talking of fighting. I guess if front row wasn’t only for that certain kind of people, those very vip ones, very stylish and very we-do-not-only-talk-fashion, we-create-the-rules ones, there would be war taking place in front row and around it. Believe me. Thanks to Runway I was able to be on stage for BleekerWho at the gallery. Since I was lucky enough to be at fashion week 2010 in New York and Fashion Week 2011 in Copenhagen it was great to finally experience it in your home country - Fashion Week Berlin for The Gallery. I have to apologize for the very very bad qualitiy of the snapshots. Since I (like all other photographers and visitors) was not allowed to use a flashlight most of the pictures aren’t that sharp. I hope you like the pictures of the Celi Aline show anyway. We’ll my big aim for the next fashion week season is to get more than only one ticket so one of you, beloved followers, will be able to join me on the journey into the wild jungle of fashion. 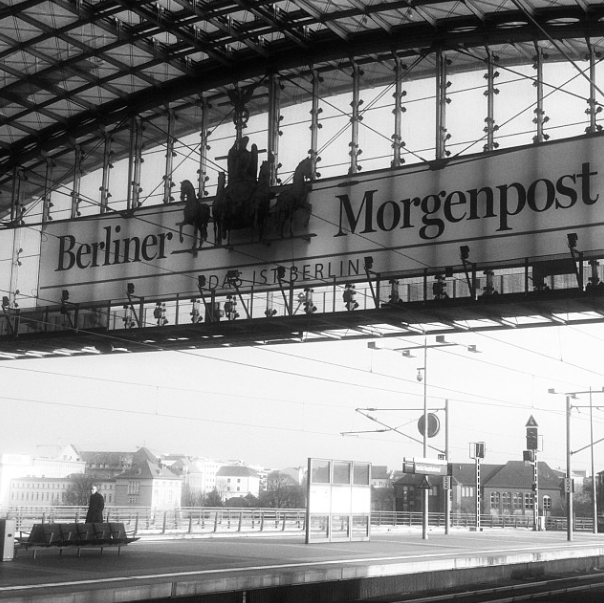 If you would have only seen the train I took to go to Berlin. You could automatically sense who was part of it and who wasn’t. One person more inspiring than the other. There Will be Videos of the shows online the upcoming week. Nighty Night!